Talented work but she is not beautiful like Elf! Very nice clothes, it looks like a night sky! Is it done with white acrylic spots? The blue of her coat goes well with the brown of her hair and fits the eyes, perfect! Could you remake this but only with Luthien in it? For some reason this reminds me of (I had to look this up) James Dean's screen test for East of Eden with Lois Smith. That's extremely impressive and in a sort of way "attractive", "magnetic". 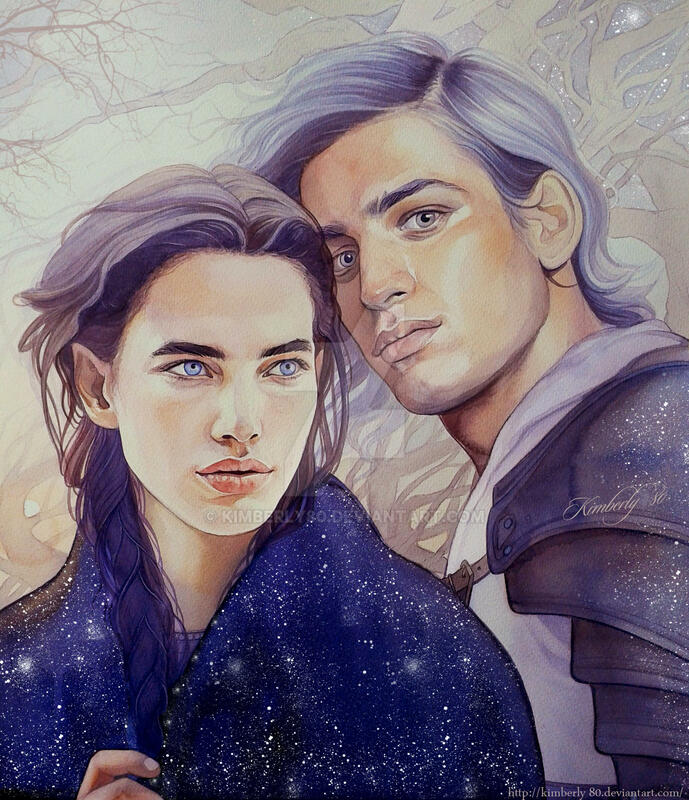 I can't help but staring at Lùthien's slendid eyes. They're telling a story without even moving nor speaking. And could you please post this again without Beren in it? 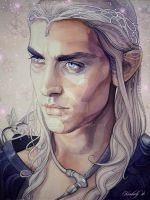 Whom did you reference for Luthien? She looks extremely familiar. can and will do without Beren ever, this Christa Сober .. 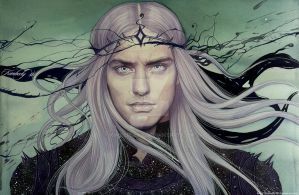 But honestly' thank you again for the Luthien only image. I can't imagine making it is easy. Your gallery is truly magnificent! Always thought that she's too good for Beren. Thank you! 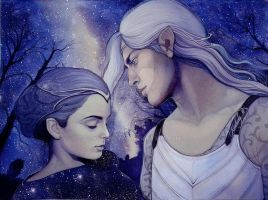 Really wanted to see just Luthien! I've always loved her! Thanks! I adore her cloak. It's just how I envisioned it. Wow, you 're so good. I don't even have words.Wow. So beutiful and intricate work. Well, J. R. R. Tolkien's tombstone has "Beren" written on it. Your art work is simply amazing, I love it so much! 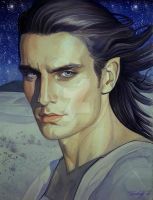 Y'know, this is one of your VERY few pictures that doesn't work for me, and I finally figured out why: Tolkien's Beren just doesn't seem like the type for duckface, or even for chiseled looks and perfect grooming. He's a very human warrior going from doom to doom, and his rough imperfect humanity (including five-o-clock shadow) should contrast with her immortal beauty. I thought that it was impossible for someone to ever draw a satisfying Luthien, as she is fairest of all, and it's impossible to envision someone who is the fairest of all. But you did it. 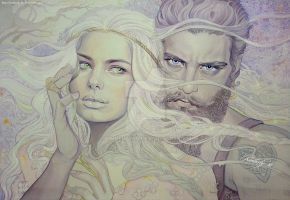 This is the closest to how I imagine Luthien that I have ever seen. Absolutely gorgeous! 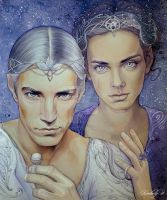 Your Luthien is perfect, and what an amazing couple they make! Это лучшие из всех, кого я когда бы то ни было видела! !